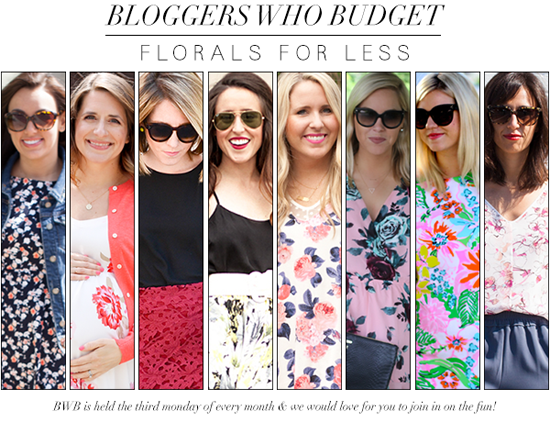 The Bloggers Who Budget are back with our favorite trend for May: Floral! Be sure to check out the bloggers above for budget friendly inspiration of how to rock these fun prints! I adore this skirt! I dressed it up with a chunky belt & heels for brunch, but it was also perfect with flip-flops & a knotted tee in Vegas.